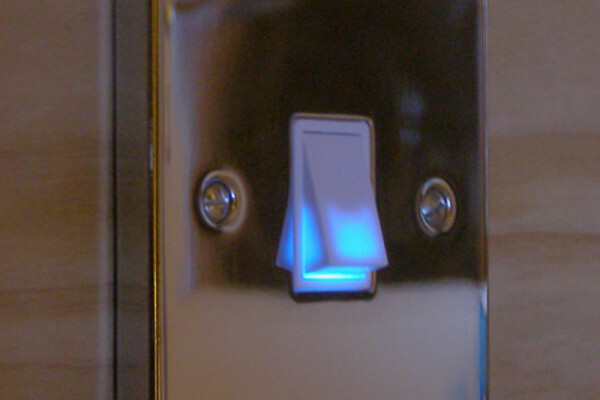 Switching on and off protein production is not as simple as flicking a switch. Or is it? Dr Alasdair MacKenzie and collegues from the University of Aberdeen have been investingating the streches of DNA between the protein encoding regions to find out more. Only 2% of the genome encodes proteins and these regions are known as genes. The other 98% has been seen as a "black box" and often dismissed as unimportant. Their work highlights how, although the genes can act as the bricks and mortar, the inter-genetic regions (the areas between genes) are the design plans and coordinate where, when and what genes are on at any given time. Some of the non-coding regions may be non-functional, relics left over from now redundant genes or ancient viruses. However, by comparing sequences across species they have found areas that are even more highly conserved than the genes themselves. This means the same sequence is found across a range of different animals, and indicates that they play an important role and so have a strong selection pressure to stop them being altered over time spans of more than 310 million years. Work carried out on these regions has shown that they can act as switches or controls for the genes. By altering the expression of the genes they control protein levels. This offers potential alternative drug targets, as rather than binding to receptors at the cell surface, the scientists would like to be able to directly target the switches themselves and so change the gene expression levels. Their work has particularly focused on Galanin, a small protein produced in a localised region of the brain known as the hypothalamus, responsible for controls of appetite and preference for alcohol. Not only does it increase cravings for fatty foods and alcohol, it is also necessary to feel pain and for mood regulation. In particular the team have focused on GAL5.1, an enhancer sequence that turns on galanin production. They have found that the strength of this switch varies in different parts of the world with the stronger switch more prevalent in europe (83%) than in China (70%). Further work needs to be done to tease out the implications of this finding but already they are interested in tailoring drugs to people depending on the strength of their switch. Because many switches can influence one gene, the hope is that by targeting just one switch it may influence just one aspect of that gene's function, such as craving fatty foods, while leaving other functions such as mood regulation unchanged. So where, when and how much a gene is turned on is as important as what that gene makes. There is a very good probability that most diseases are caused by mutations of the mechanisms that control genes, rather than what the genes actually make. Vaccine for dust mite allergies!